Above: Paul and Jana making a stop at our home as they toured through Europe seeking God’s direction as to where they will be serving long term. Paul was able to join me (Allen) as we traveled out to Bogács for our weekly Bible study. I continue to see Süni’s attitude toward us change as he is now more friendly and accepting, however he still will not allow Izabella to attend our study. Please continue to pray for Süni and for Izabella to grow in her faith in this time she is isolated. Above: Paul showing Süni and Józsi some pics of his family. Süni commented that his daughter was beautiful. A few weeks later I returned to Bogács and was asked if we could go to a relatives house to pray for a man who was very ill. It was already dark with midst making things even darker. We made our way up the uneven muddy slope to a house and pushing through fabric draping over a doorway I entered a very small room with family gathered around a man laying on his side. Another family member, who stood with white rubber gloves tending to the sick man with bed sores initially looked taken back that I had come. Pulyka was quick to explain that he brought me over to pray for healing. I don’t know all the details of what happened to him, but he is paralyzed and he cannot talk. He was awake and in pain when I entered. I’ve been learning in these situations not to allow a shocking sight of sickness lead me to fear and anxiety, but rather to allow it to lead me to remember how powerful and merciful Jesus is. I knelt down and began praying for the man, placing my hand on his head and to the sides of his mouth. He seemed to be comprehending what I was saying and seemed to be comforted by the prayer, but I didn’t see healing yet. Before I left, he was able to make noise with his mouth and move his tongue, but it was not completely loosened and he still could not communicate. Pulyka and I told the family that we would continue to pray and I hope to visit him again next week. Please join me in praying for healing for this man as we recognize that this sickness is not bigger than our God. In Acts 28, we see the apostle Paul stranded on the island of Malta. In a local tribe, “The father of Publius lay sick with fever and dysentery. (Acts 28:8) This man was not a believer and knew nothing about the Gospel. “Paul visited him and prayed, and putting his hands on him healed him.” (Acts 28:9) Healing is often coupled with the proclamation of the Gospel. Lets pray for Dadás (the man sick in Bogács) as Paul would have and surely as Jesus would have as well. Above: Eniko serving in children’s ministry in Bogacs. Above: In Apc a few weeks ago, I had the privilege of baptizing Vivi (you can see her mother Vincse in the background) Vivi is due in just a few weeks. She shared that for the first time she has come to know Jesus in her heart and not just in her head. She also said that God has been showing her how he is a faithful Father who loves her. Just today I received news that Vivi was sick and after going to the hospital, it turns out that she is dehydrated and needed to be admitted. Please pray for God to protect both her and the baby and bless her with healing! Above: Ziva in a ‘kid sandwich’ as everyone squeezes together for prayer before heading downstairs for Sunday School. 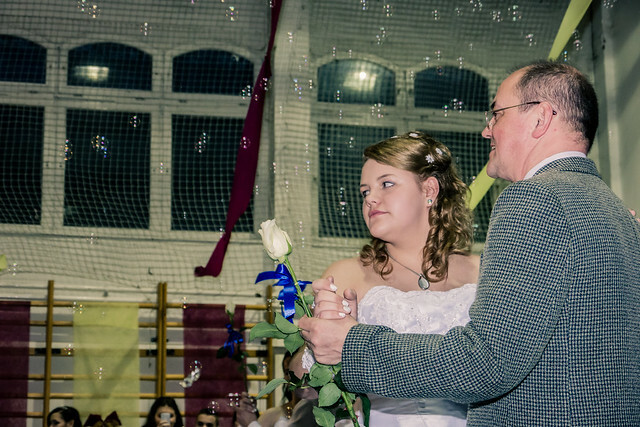 Above: Hungarian church planting teammate Dezso dancing with his daughter at her graduation dance at Rozsaszentmarton elementary school. Above: Ben who attends the same school had a performance with his class. Looks like he’s playing a role that matches his character. Above: Kira with Ziva who couldn’t resist dressing up like a fairy. Our son Benjamin will be attending a teen conference this weekend and we would appreciate your prayers for him. Pray for him and all the other young teens attending to hear from God and to grow in their faith and understanding of who God is. May the Lord raise up a new generation of mighty men and women of faith in Jesus. We appreciate your prayers! Thanks for your continued support.